Many children and adults demonstrate difficulty following auditory directions, keeping information in their short-term memory, discriminating between different sounds, rhyming, or in layman’s terms “reading between the lines.” These individuals are suffering from an auditory processing disorder. Some of these individuals have a “Central Auditory Processing Disorder.” These individuals hear all sounds accurately, however, the auditory signal becomes garbled before it makes it to the brain to be processed, therefore the message is transmitted incorrectly. Individuals with auditory processing disorders are often misdiagnosed as having Attention Deficit Disorder, a behavior problem, or as a brat. These individuals look as if they hear you and are paying attention to what is being said yet they cannot follow or understand what said. Many individuals with processing disorders also have difficulty with reading and writing. A central auditory processing disorder can only be diagnosed by an audiologist. The audiologist performs a battery of assessments which determine whether a central auditory processing deficit exists. Many of the assessments require an individual to perform a series of tasks while competing background noise is presented. How Are Processing Disorders Treated? There are many gimmicks out on the market that are designed to work on the rehabilitation of individuals with processing disorders. It is important to understand that none of these gimmicks have proven to be 100% effective and they are very EXPENSIVE. At the Suffolk Center for Myofunctional Therapy and Speech Rehabilitation, we believe in teaching strategies to improve an individual’s ability to compensate for their difficulties in all environments. 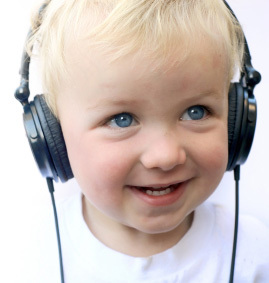 How Serious Is An Auditory Processing Disorder? We all have some sort of processing disorders. We may use post-it notes or use mnemonic devices to help us remember different things. These are the strategies we utilize to compensate for our processing difficulties every day. In the world, without these strategies, an individual may be in a world where he/she listens all day but never HEARS anything. Auditory processing disorders are not curable but they are manageable. © 2019, Suffolk Center for Speech. All Rights Reserved.